Kenya's Police Chief Fired: The Start of Reform? The symbolism was impossible to ignore. Last Tuesday, Sept. 8, the chief of the Kenyan police  tainted by accusations that since he took charge, around the time of Kenya's presidential election in 2007, his men had waged a campaign of illegal killings  was fired and put in charge of the postal service. His deputy, meanwhile, was quite literally put out to pasture, with a new job at the Ministry of Livestock. Could this be the first cannon shot in the Kenyan government's long-promised war against corruption and impunity in the police force? Is President Mwai Kibaki finally bowing to pressure from foreign governments and U.N. envoys who have said the police must be held accountable for their actions during last year's postelection violence, when officers allegedly raped hundreds and killed a third of the 1,200 who died? Sadly, probably not. 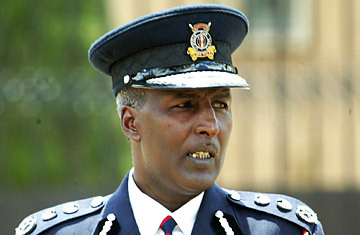 Those campaigners who were among the loudest in calling for the resignation of the police commissioner, Major General Mohammed Hussein Ali, fear that his dismissal is merely an attempt by the government to paper over the problems that have plagued the police force for years. They say it may be part of a conspiracy to pre-empt demands for more radical reform that are expected to emerge in the coming days. "Of course it's possible that the new commissioner will actually take some significant steps, but there's no indication of that," Philip Alston, Kenya's U.N. special rapporteur on extrajudicial, summary or arbitrary executions, tells TIME. "And there's no suggestion in his background that he's going to do anything other than business as usual." Ali has been replaced by Mathew Iteere, who previously led the General Service Unit, a division of the police that was accused of some of the worst abuses during the 2008 violence. Alston authored a scathing report saying he believes that the police orchestrated a campaign of extrajudicial killings before and during the fighting that followed the election. He says Ali was singularly unhelpful during his investigation and feels that Kenyan courts should investigate Ali for his role in the police force's actions at that time. If Kenya doesn't investigate Ali, Alston believes he should be taken before the International Criminal Court. Ali has vehemently denied Alston's accusations, saying there was no organized campaign of killings and that his police acted in strict accordance with the law. Iteere has kept silent on the issue of abuses but says he will reduce crime 30%. "One thing that was clear from all of those with whom I spoke was that Commissioner Ali was totally on top of everything," Alston says. "Nothing happened that he wasn't aware of, and he was criticized in fact for micromanaging." An official expression of skepticism about the motivation behind Ali's firing came from the U.S. embassy, which said in a statement that the move was a "potential" first step on the path toward reform. Kenyan officials denied that Ali's move to the post office was anything but routine  "These are normal changes," said government spokesman Alfred Mutua. But Kibaki himself contradicted his spokesman in a statement released by his office on Wednesday, Sept. 15, when Iteere was sworn in: "President Kibaki expressed optimism that [the public] will support the new Commissioner of Police and the ongoing reforms in order to ensure that the police force is more efficient in addressing the country's security challenges." But the timing of Ali's firing is interesting. A police-reform task force is expected to release its own report, complete with recommendations, in the coming weeks. An interim report recently demanded that the top brass be replaced, but the final document, when it comes out, is expected to call for a complete overhaul of the police force. Among the biggest concerns shared by human-rights activists is that police leaders are answerable only to Kibaki and face little public accountability. In his report delivered earlier this year, Alston found a "systematic, widespread and carefully planned strategy" of executions by police, but no member of the force has been tried. The government's response has been to try to get Alston removed from his position. "I see it as an attempt to divert attention," Sam Mohochi, executive director of the Independent Medico-Legal Unit, a human-rights watchdog, says of the firing of Ali and several other police officers. "The latest task force on police reforms has yet to compile its report, so it's like stealing the thunder and pre-empting far-reaching reforms that might be promised. To us it's a political tactic." Ali was unrepentant as he said goodbye to the force, noting that crime dropped drastically across Kenya during his time as chief of police. While that may be true, it is still generally seen as unsafe to go out after dark, and carjackings and break-ins are common. "Unfortunately, during my tenure, vilification of police became a national pastime," he said at a ceremony marking his departure. "Police work is not a public-relations exercise. You will make many happy and unhappy, but I take pride in what I have done." That statement reflects what rights activists and regular Kenyans feel is the fundamental problem with the government's attitude toward reform: aside from vague promises of change, no one seems to have acknowledged that several investigations  domestic and foreign  have found strong evidence that the police in Kenya are a law unto themselves, taking hostages, collecting bribes and killing with little fear of punishment. "Even if they change the commissioner, the corrupt police are still there in the stations," says Judy Mumbi, a hairdresser whose 23-year-old son Samuel was found shot dead on a Nairobi street less than a day after he was taken into police custody in 2007. "They killed a lot of people, small guys. Even today they are still killing."